What do you have to check on your bike before riding? The regular maintenance of the bike is very important for the biker’s own security. 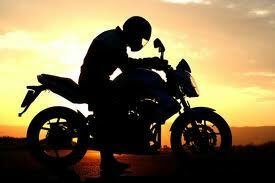 That’s why here we offer ten tips that can be very useful for the biker’s. Check with a pressure gauge and perform reading always with cold tire. The optimum pressure is different between the front and rear tire, and varies if you travel alone or accompanied. Put the pressure indicated by the manufacturer. The depth of the tread must be correct, as each manufacturer indicates. Beyond the threshold is essential to change the tire. To perform action with the straight bike. Under normal conditions, cleaning and greasing must be done every 500 km and more frequently with rain. Apply the spray at a distance of about 15 cm, always inside and turning the wheel to act along the whole length of the chain. The bike has to be completely vertical. To check the voltage you can use a screwdriver, moving up the chain. Once verified, it must be clamped with a specific tool. In the area of the rocker are a few notches that help balance the tension on both sides of the wheel. The oil takes care of the health of engine and gearbox. It must not be lubricated in excess and much less in default. To test often used a porthole, located at the top left of the crankcase and dipstick. The engine must be cold and the bike in an upright position. Check the condition of the electrical system, sure of the correct operation of intermittent, low beam, brake light, long, bursts and horn. The brake hydraulic circuit has two tanks, one for the front brake and one for the rear. The fluid level can be lowered by the consumption of the pills: check its status before filling. The oil type is given by the manufacturer. The ABS is fairly widespread. It is not necessary to remove to check its wear, just look between the pad and the disc. When wear between the brake lining and the metal part is less than 1.5 cm must be replaced. It is advisable to resort to a specialized workshop. With a visual inspection of the front fork and the shock absorber can establish if there is any oil leakage through the seals. Any other internal review should be performed by a specialist. Basically there are three types of cooling: air, oil and water. In the case of that is liquid, locates the filler neck of the coolant reservoir and fill if necessary, always cold. The type of refrigerant is indicated by the manufacturer.